You’ve heard it said over and over that we have the very best criminal justice system in the world. Best perhaps but far from perfect as we keep changing the rules to make convictions easier for prosecutors to win. Take young Alton Logan. Did I say young? 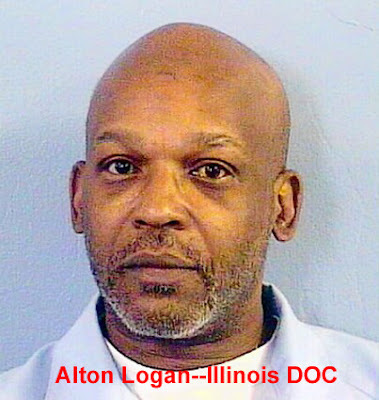 Today Logan is 54 years-old,and languishing in an Illinois prison cell for more than half of his life. Logan was young when he arrived on that prison bus, but that was 26 years ago. Logan became a convicted murderer, doing life for killing a security guard at a McDonald’s restaurant on Chicago’s South Side. During the January 11, 1982, robbery at the McDonald's at 11421 S. Halsted St., security guard Lloyd Wycliffe was killed by a shotgun blast and another security guard, Alvin Thompson, were wounded. The gunmen got no money, but stole the guards' handguns. Just one month later, another man Edgar Hope, Killed one Chicago cop and wounded another aboard a CTA bus Hope used a McDonald’s guard’s stolen handgun to do the deed. 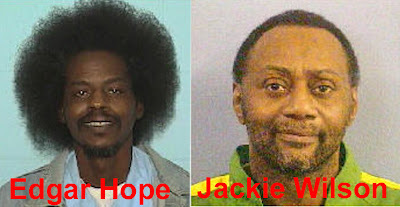 Soon Hope was arrested charged with the cop’s murder. Alton Logan was arrested and charged along with Hope for the McDonald’s crime based on an eye-witness’ identification of the two suspects for killing the security guard. Days later on February 9th two more Chicago cops, William Fahey and Richard O’Brien were murdered. The officer’s service revolvers also stolen by the killers during the crime. Police identified Andrew and Jackie Wilson as the cop’s killers and launched one of the largest manhunts in department history. On Feb. 13, officers raided a South Side beauty parlor where they learned Andrew Wilson had been hiding. Cops were unable find Wilson, but they did find the revolvers belonging to Fahey and O'Brien, as well as a shotgun. Ballistics tests matched the shotgun to a shotgun shell found at the McDonald's restaurant according to a crime lab report. Chicago Police Commander, Jon Burge and some of his detectives caught up with the Wilson brothers and interrogated them. Trials were held and the Wilson brothers along with Edgar Hope went to death Row for their crimes and all later had their death sentences commuted by Illinois Governor George Ryan who is doing time of his own in a federal prison cell. The Wilson brothers and several others involved in despicable murder cases accused Commander Burge and his men of torturing them in order to gain confessions. Burge was fired, sued and is still under investigation decades later because of the allegations. Andrew Wilson died of natural causes while in prison but one of his best kept secrets did not die with him. Attorney Marc Miller was defending Hope who told him that Alton Logan was not involved with the McDonald’s crime and that Andrew Wilson was. Miller approached The two public defenders assigned to the Wilson brothers, Dale Coventry and Jamie Kunz telling them of Hope’s assertions. Soon Coventry confronted Andrew Wilson with Hope’s revelations. Wilson laughed about someone else getting the blame and confessed that he not Logan did the McDonald’s stick-up and murder. The lawyers for the Wilson brothers knew that Alton Logan was an innocent man as prosecutors unsuccessfully sought to put him to death. Rather than interfere with Logan’s worst nightmare Coventry and Kunz prepared a sworn affidavit in March of 1982, saying the following: "I have obtained information through privileged sources that a man named Alton Logan who was charged with the fatal shooting of Lloyd Wickliffe at on or about 11 Jan. 82 is in fact not responsible for that shooting that in fact another person was responsible." Coventry and Kunz signed it, as did a witness and a notary public. Then they sealed it in a metal box where it’s been until Cook County Circuit Court Judge James Schreier ruled that since Andrew Wilson died they could reveal Andrew Wilson’s statements to the lawyers. This should be a no-brainer quickly setting Alton Logan who has maintained his innocence for nearly three decades free. Not so fast! That affidavit, now brittle and yellowed from being locked in that box all those years and the sworn testimony of the two public defenders is hearsay evidence and may never be admissible in court. Since the secret affidavit has seen the light of day, Logan’s current lawyer Harold Wilson has filed motions with the court for DNA testing of evidentiary items to uncover the truth. So far the Illinois Attorney’s office has stonewalled that request. The Illinois Attorney General has the ball in her court and can control everything. I believe we will see a big fight over the not so new but well concealed evidence. Will they do the right thing? Stay tuned! Judge ordered a new trial for Logan and set bail. Alton Logan's family say they took up a collection in the lobby of the Cook County Criminal Courthouse on Friday and quickly came up with the $1,000 needed for his release. A tearful Logan says he feels great leaving the courthouse surrounded by friends and family.